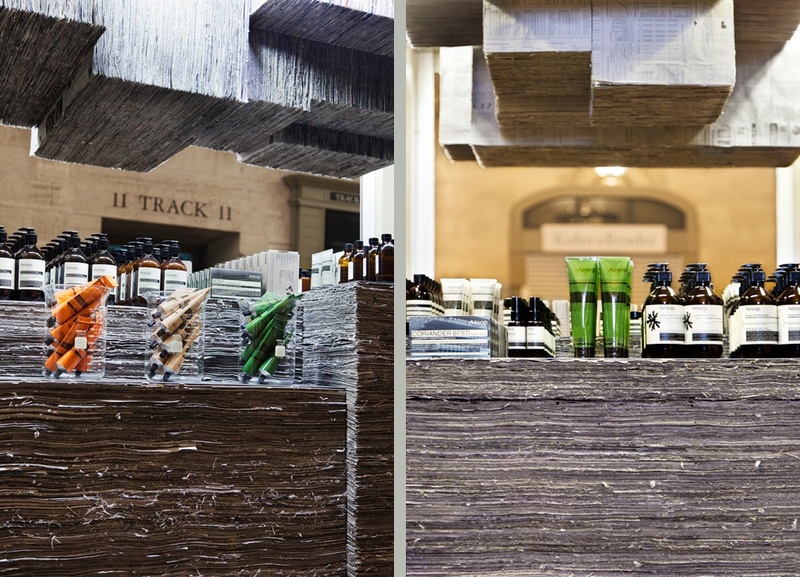 located in grand central terminal, what has long been considered a gateway to new york for the roughly 750,000 everyday commuters, the aesop grand central kiosk serves as a point of introduction of the aesop brand to new york. 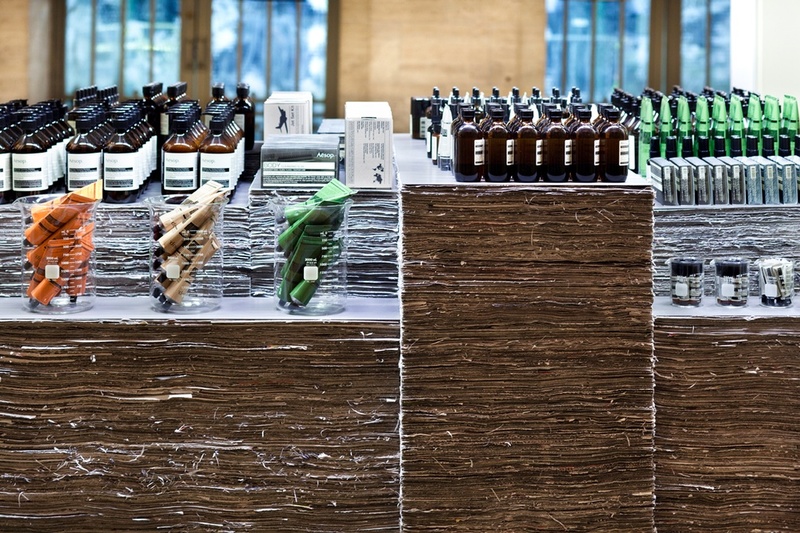 we like to think of this as the handshake of aesop. 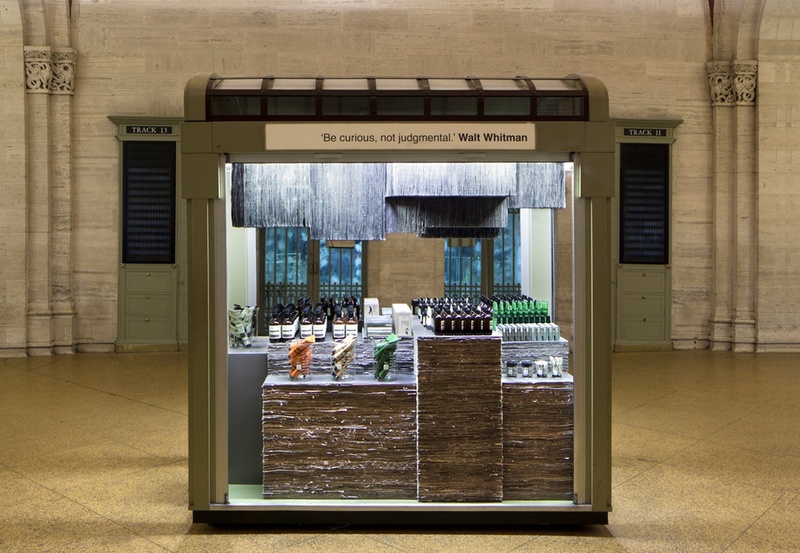 an appropriate metaphor as the kiosk will serve as a personal greeting to the commuters every morning and evening - a personal introduction to a product that is best experienced by the hand. 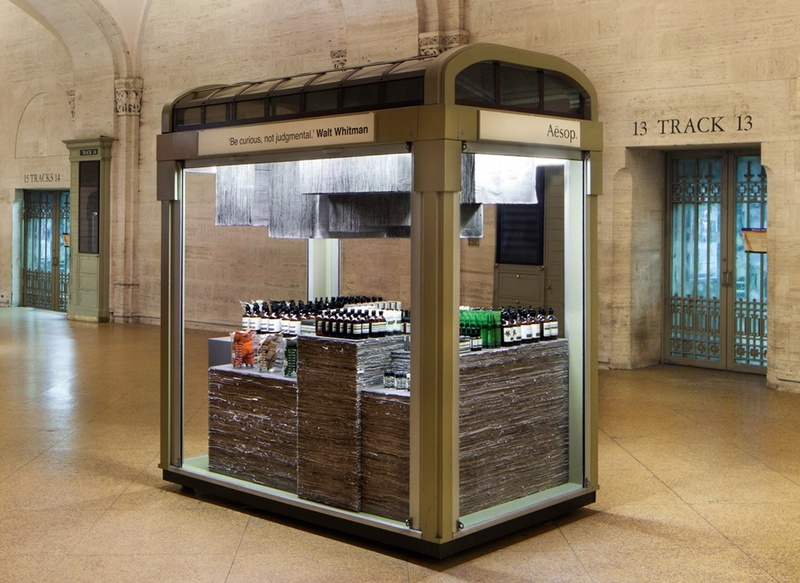 the kiosk is constructed of 1,800 reclaimed newspapers from the new york times. 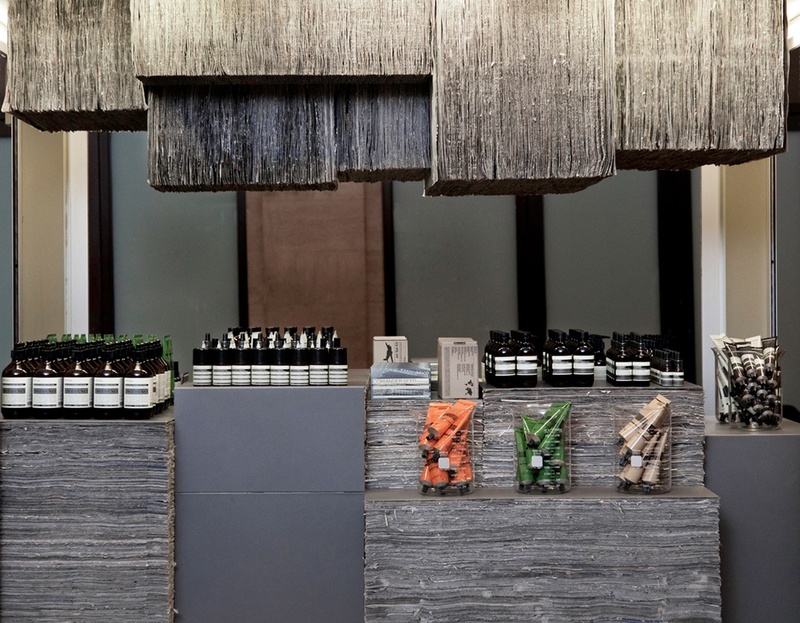 here, aesop’s products sit on a tiered mass of stacked and bound newsprint while loosely hanging papers form a canopy above.